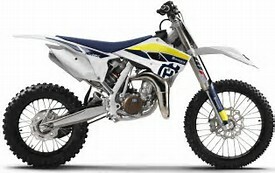 This is a high performance engine build for KTM85 and Husky TC85. Suits 2013-2018 models. This engine build will give you world class power from your 85, equal to the best builds from the USA or Europe, and includes all of our top secret mods. You wont find a better 85 build anywhere! Weve tested the competition and so far nothing beats it. Reliability has also been excellent on these builds… as long as you keep up regular maintenance expected for a high level MX race bike. Labour for full strip down and rebuild of your engine, head setup, advanced porting, carb bore, case mods, new HGS expansion chamber (worth $340), new HPI or Athena GET programmable ECU (worth $549), dyno tuning (including programming ECU), dyno printout of power output. Price does not include engine parts. These will be determined by engine condition. Brand new engine will only need gaskets (approx. $100), used engine may require gaskets, seals, main bearings, piston kit, crank rebuild (approx. $650 all up). You can bring in the whole bike and we will remove/refit the engine for you for approx. $200.